You know its bad for your franchise when you are made a spectacle of by a player with a career average of 8ppg and 9rpg — but that is what happened when DeAndre Jordan not only backed out on his verbal commitment to sign with the Dallas Mavericks in the 2015 free-agency period, but he avoid all contact with anyone affiliated with the Mavericks organization while his old-new teammates joked about it on social media. Is he an 11-year-old avoiding having to deal with an upset parent or grown man who should be able to conduct himself with professionalism even in an awkward circumstance like this..
Now don’t get me wrong, there is nothing wrong with him having a change of heart and wanting to return to the Clippers, but we all know he should have handled it better. But even in dealing with this tough situation, the Mavs may have come out on the better end of the situation. Investing over $20 million dollars in a player that had never been more than an alley-oop and put back machine was a calculated risk and while not signing Jordan could negatively impact the end of the Dirk Nowitzki career in a Mavs uniform; Dallas could have been worse off in the long-term if the team would have paid a one-dimensional player that much. But fear not Mavs fans all was not loss this off-season, Dallas was able to acquire some pieces at a much more reasonable price and maybe just maybe, these less heralded moves can keep the team respectable while not bankrupting its future. Coming to Dallas he would have had that expectation and on the nights that he did not want that pressure things would have gotten ugly for the Mavericks. Its already bad enough that they will be without their lone big name free-agent Wesley Matthews for the first half of the season as he recovers from a torn Achilles, but to have no consistent return on investment from the 2015 free agency period would have been hard to deal with for the fans. In addition to acquiring Pachulia, the team will also be signing former Brooklyn Nets point guard Deron Williams at the discounted rate of $10 million for two seasons once he clears waivers. Yes we all know it’s not 2012, and Williams is nowhere near the caliber of player that he was when left Utah in free agency three years ago, but the veteran guard knows he is down to his last chance if he wants to be a starter in the NBA… and what better place to revive your career than your hometown. Coming out of a tumultuous situation in Brooklyn, the expectation to perform at a superstar-level to match his superstar contract wont be present in Dallas and he will be able to just play — so we hope. But even if Williams isn’t the prodigal son who returns to save the beleaguered hometown franchise and Pachulia gives them nothing from the center position, the risk invested in those two players pales in comparison to the buyers remorse the franchise would have experienced if Jordan did not play well in Dallas. 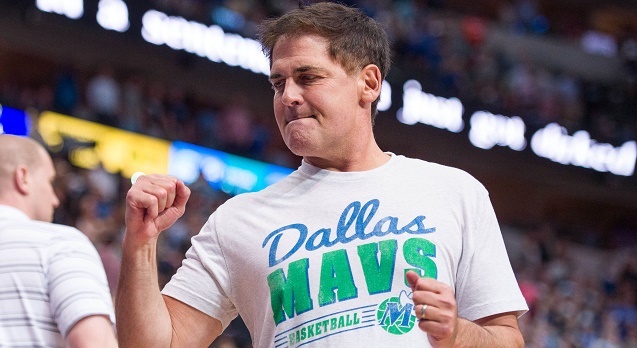 Despite having the big bucks of owner Mark Cuban, the Mavericks have ended up with too many whammy’s in free agency lately, so it may be time to reevaluate the team’s approach to winning. Could Dallas Swing and Miss on Big Free-Agents… Again?? ?